If you’re a fan of the NRA, you might want to check out our list of 12 countries with no gun laws and low crime rates in the world. It’s the age-old argument. And whether the gun laws change in our country or not, people will always be arguing over this huge political issue. Events constantly happen to prove one side, and then statistics arise to prove the other, which will probably be happening for the rest of our lives. But some countries seem to have it figured out. Unlike in countries that don’t allow civilian ownership of guns, in these countries, guns are prevalent among civilians and others, yet crime rates remain lower than ever. Are people just specifically conscious of the law in these places, or is it true that less stringent gun laws really do promote lower crime rates? In other words, does gun control reduce crime or not? The answer is pretty self-explanatory. Countries with strict gun control versus countries without it prove the point. As opposed to countries with gun bans and their crime rates, these countries have surprisingly low crime rates. 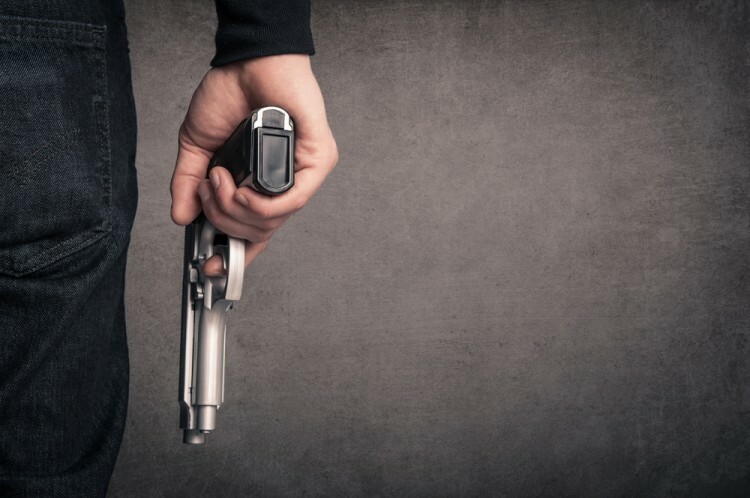 For our list below, we ranked countries that appeared on low crime high gun ownership lists from reputable sources, including How Stuff Work’s “Do Countries with Stricter Gun Laws Really Have Less Crime or Fewer Homicides?”, Gun Fact’s “Guns in Other Countries,” Deseret News’, “15 Nations With the Highest Gun Ownership” and Live and Invest’s “World’s Best Countries for Owning a Gun.” We then used a website called Gun Policy to get the information about each country’s gun laws, just to confirm. Here’s where our scoring process comes in. We used three criteria to score — the number of civilian firearms per 100 people, number of homicides per 100,000 people, and percentage of those homicides committed with guns. For a number of civilian firearms per 100 people, we awarded 3 points if the number was 50 or above, 2 points if the number was between 40 and 49 and 1 point if the number was between 30-39. Anything below 30 got 0 points, so this variable proves that a country that scored high in this category definitely has high gun ownership. For a number of homicides per 100,000 people, we gave 3 points if the number was between 0.01 and 0.50, 2 points if the number was between 0.51 and 0.99 and 1 point if the number was anywhere between 1 and 5. If the number rose above 5, 0 points were allotted because, the smaller the number, the better. So countries that scored high in this category had a very low number of homicides per 100,000. Lastly, for our percentage of homicides committed with guns category, we gave 3 points if the percentage was anywhere between 0% and 20%, 2 points if the percentage was between 21-30%, 1 point if the percentage was between 31-50% and 0 points if the percentage rose above that. This means that countries that scored highest in this category had a very low percentage of homicides committed with guns. This allows for 9 points possible, although number one on our list only scored an 8 since the scoring system set the bar pretty high. But before we give you the list of gun ownership versus gun violence by country, we’d like to mention that the title of our list is a little exaggerative because a country with “no gun laws” whatsoever is basically nonexistent. Everyone has to put regulations on something so important, even if they are loose regulations. And “low crime rates” can also depend on what you mean by low. Most Americans, for example, wouldn’t consider our countrywide crime rate low, especially with all the violence lately. But compared to some other countries, we practically have no crime at all. (So be thankful you’re an American this Thanksgiving.) Also, remember that gun laws do change from year to year, so although we tried to accrue the most recent information on these country’s laws, they could be changing even as you read this. And if you want a list of countries that don’t allow guns or a list of countries with gun control, check out our list of countries with the strictest gun laws in the world. So here it is — 12 countries with no gun laws and low crime rates in the world. The last 5 countries on our list, share the 8th place, due to the same number of points they got.